You say it's your birthday? Let's party! 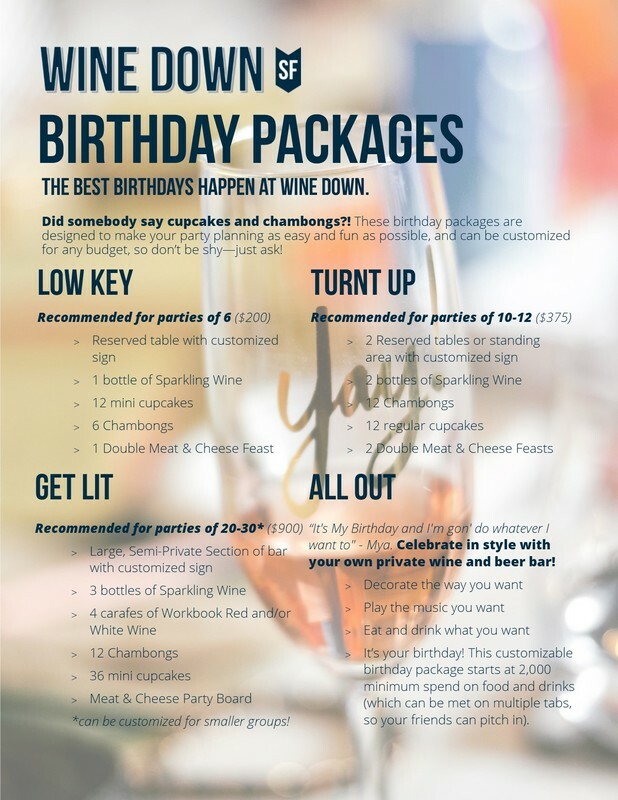 Check out our special b-day packages below, and complete the short form below to start planning with us! ​We'll do our best to get back to you quickly! Please allow 24 hours for a response. If you would like to reserve an area for today or tomorrow, please call Wine Down at 415-829-7005.